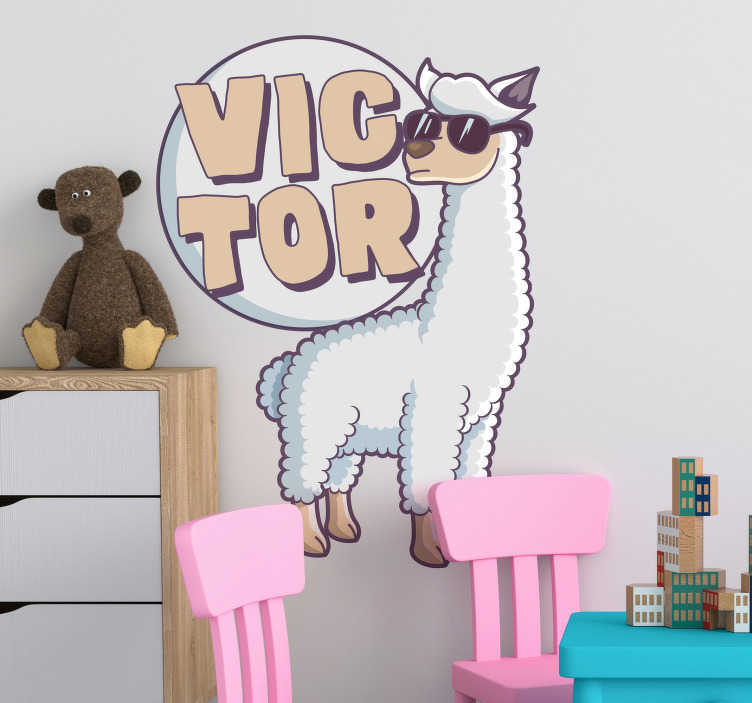 The llama is one of the coolest and most loved animals in the world; how can you not love it when you see the way it looks on this fantastic customisable bedroom sticker - It even has sunglasses on! Ideal bedroom decor for all those cool kids who want to illustrate their style! So, whether you want to put your first name, your last name or any other text, customise it now!